Laminar Flow Requirements: Discussion | C. Vargas & Associates, LTD. I enjoyed very much speaking with you at Savage Sports Corporation’s 2005 Architect seminar. Your Unified Facilities Criteria (UFC) project scheduled for final submittal in July 05, intrigued me but gives me great concern. I’m proposing those concerns be addressed in the interim review period. I spoke with Glenn Anders AIA, VP TransSystems Corporation at length about some of these. You may be wondering why a civilian range designer is concerned about Navy regulations or design guides or shooting range criteria. I am most especially when it may be promulgated as a unified criteria for Army Navy and Air Force and the concern is because there being no other criteria available civilian building departments have applied them to civilian range projects and military commanders have comments on civilian projects adjacent to military installations with military criteria which is inappropriate to civilian ranges, i.e. our discussion of a civilian range having to provide 50% of the SDZ requirement on a development adjacent to a military base, because of the base commanders staff’s comments on the project. That is a huge impact on the project and it will take untold amounts of money to meet criteria that is inappropriate or the project will simply fold. I believe this issue is so important that the NRA’s range committee ought to be asked to review the document along with NSSF’s, NASR’s Hartford Action Group (HAG). They need to review and comment on the negative impacts the UFC has on civilian and law enforcement range designs. There is a 2nd issue with the Navy stating “…design laminar air flow…” and allowing radial air diffusers as a way to meet that criteria. The Navy can certainly allow any thing it wants in its facilities, but it creates a problem for the design professionals because if we are to design and certify that a range was designed to approximate laminar flow regime as best as possible then the more expensive perforated air supply plenum wall is what we have the design and that will most closely provide that condition. If you don’t and are asked to testify and did not recommend it your insurance company will pay. Laminar flow is not found except in very slow velocities. Designs which do meet that laminar flow regime are pharmaceutical exhaust hoods and clean rooms. Shooting ranges do not warrant laminar flow; quasi-laminar flow is sufficient, i.e. flow parallel to the floor going smartly down range and causing no eddy currents is sufficient. Then the less expensive radial diffusers that the Navy proposes to use if properly set back would meet the specifications. Indoor ranges only have to meet the PEL criteria, not a laminar flow condition! Also one thing to keep in mind is that modern training ranges are now reverting to walk down ranges (booths are not being designed) for the minimum learning skills teaching ranges, so uniform parallel air flow is required on the entire width of the range from floor level to 8-ft height. If forwarded, I would be pleased to review your UFC if allowed. Thanks for your comments, and I understand your concern. However, the 50 percent SDZ (baffled ranges), and the laminar flow (indoor ranges) are nothing new, they have been in Navy criteria for at least 15 years. We provide our criteria for outside review for two reasons: to make sure we are fair to range suppliers, and to pull together expertise from outside DOD. We are not implying that others adopt our criteria. Most commercial (non-DOD) ranges do not meet all of our criteria, and we have ranges that don’t meet it “to-the-letter” either. The criteria is a standard, but we allow deviations and waivers when appropriate. For outdoor ranges, we require the SDZ to be the max distance of the most powerful round used, regardless of whether a bullet trap or impact berm is present – i.e. we assume some sailors will shoot over the berm, no matter how high we make it (and they will, I’ve seen it). I’ve been to many gun club rifle ranges with highways, waterways, etc within a mile of the firing line. They assume that all rounds will be stopped by the impact berm. We have hundreds of sailors shooting every week who have never picked up a gun before – we also have SEAL snipers who are among the worlds best marksmen. We set our standards with the first in mind, but make allowance in criteria if ranges are restricted to the second. Baffled ranges: The Navy Mil Hndbk has 3 categories of outdoor ranges: Fully Baffled (Baffles on the Baffles), Partially Baffled (no “blue sky” seen from the firing line), and Open (Full SDZ). We no longer build Fully Baffled ranges, and the SDZ for Partially Baffled ranges is set at 50 percent of the most powerful round. Again, its been that way for many years and for good reason, and I don’t intend to relax it. I would consider a “Zero Surface Danger Zone” baffled range in certain situations, but again, the criteria sets the bar for the standard/typical range, and I would need good justification and reasoning to waive it. One reason my job exists is because rounds were escaping on several baffled ranges and a few people got hit. Shoot houses. Navy criteria require a ballistic roof – in some rare cases we waive this. Most of the police shoot houses I’ve seen do not have a ballistic roof. We assume someone, whether by accidental discharge or on purpose, will shoot up. Another reason my job exists is that, in the past, sailors were testing above the lead PEL after shooting at indoor ranges. To solve this problem, the Navy requires laminar flow, defined as 75 fpm (with +/-) average across the range, with measurements taken at each shooting station at 3 levels (prone, kneeling, standing), with no one reading less than 50 fpm. Its expensive, but all of our new ranges meet this – I measure each one with air flow meters and smoke tests – it is possible. Most of our new ranges have radial plenums, but we use rear-wall plenums also. And as you state, the PEL is the driving criteria, but by setting tough air flow requirements, we can be sure we meet the PEL. In your previous email you mentioned that 75 fpm should not be the upper limit, I agree. We did not mention such an upper limit in our presentation, and our standard allows for higher velocities. We set an average at 75 fpm, so you expect numbers above and below. I’ve measured ranges with averages over 100 fpm and had people stand in the firing line while I “smoked” the firing line. In some, the smoke went straight downrange, in others, turbulences were present at the ceiling, with smoke coming back down to the shooters. I prefer to see all the readings less than about 110 fpm – you may not get eddies around the shooters, but you can get turbulence at the ceiling since its typically not a smooth transition. Also, designing for higher velocities requires bigger fans, which not only increases costs, but also increases noise, which is another case of fixing one problem but causing another. While shooting ranges are inherently loud, a loud ventilation system just adds to the problem. Another strategy is to withdraw some of the air at intermediate points downrange. While that looks good on paper and may work, I’ve not seen it work in practice, and our standard is to exhaust all air at the end of the range – as in your analogy – to “pull” the air downrange. It is not always appropriate for the commercial world to adopt a military standard. Many civilian and city ranges, whether outdoor, baffled, or indoor, do not meet Navy criteria, nor are they required to. Not all of our ranges do either. The Navy sets a high standard for a typical range, but we waive certain requirements when appropriate, based on risk analysis, shooters experience, topography, etc. However, we (The Navy as well as other DOD) are probably more conservative because with hundreds of ranges, and with all the rounds we put downrange, even the “1 in a million” will happen quite often. I get calls almost weekly from another Navy range somewhere in the world with concerns about rounds escaping, round coming back to the firing line, lead blood levels, and other potential problems – I would have to think long and hard before I relax any well established criteria. If the outside community want to use our criteria, that is a choice they will have to make. Thank you for your prompt reply. There is no doubt the Navy will continue to do what is best for the Navy and that is Navy tradition. The issues however were brought up in the open forum at the National Symposium at the Shooting Range 2005 Architects Seminar. The Navy stated, as I understood it, that it plans to propose it’s UFC to become the common design document for the armed forces, that makes this document a very powerful document and subject to peer review because it affects others in unintended ways. As I stated prior it affects the civilian and law enforcement community severely Since the subject matter of indoor and outdoor ranges is not related I am going to separate the subjects and address the issues of the SDZ here only and the other subject in a separate memo or email. Randy, I agree with all of your comments about the training of Navy shooters qualitatively and quantitatively, let me tell you about civilian shooters. They love to shoot and come from about the 8% of the population of men and women who are hunters, naturally, as opposed to the rest who are farmers. You can teach farmers how to shoot and shoot well but you have to get and keep their attention since that is not what they wan to do. Those farmer-type individuals, all hard workers, but would rather be doing something else other than shooting; being cooks, drivers, teachers helping kids or just something else; not shooting.  Our civilian shooters are, for the most part, the hunters trained by the military in the shooter tradition, who continued to shoot competitively after getting out of the military. For my part of the country, the south, after WWII, 40′s and 50′s, civilians took over abandoned military ranges in various vacated military facilities and also built civilian competition ranges where they were none so we could shoot pursuant to NRA guide lines which the NRA was based on the Army’s KD rifle range courses for rifle, the Army’s 30 round National Match Course was latter expanded by the NRA to a full 900 point course shot, with 3 fire arms, making it the 2700 conventional pistol course. The law enforcement competition came from the FBI and their circa 1920′s, 60 round Police Practical Combat (PPC) course which I contend is still the best course for teaching practical pistol marksmanship. 50-yd shooting with a pistol will tell you volumes about the person shooting. These same people who developed the civilian shooting sports are very dedicate no-nonsense types, ex-military, like myself, who also developed no-nonsense operational rules that we civilians enforce. Cardinal rule #1 is safety. The other rule is if you don’t obey rule #1 you are out of here. So civilian shooters who are on the firing line are innately hunters, having fun while at the range and who want to be there, want to protect their club and have an accountability method for each round that is fired down range. They don’t spray and pray. Each shot is scored even the tyros just starting score in the 70% category. Most shooters on a firing line are shooting at the 85%-90% level and the expert, master, high master classes who are normally in charge of the ranges are shooting in the 95 to 98% category. Pretty darn good.. All shots are on paper. All shots have gone through a 6-in diameter circle at 50-yards. 4′-6″ above the ground and into a backstop. Civilian ranges are very safe because of those reasons. Military and law enforcement ranges on the contrary, not so. Military and law enforcement ranges train folks that don’t want to be there but have a requirement meet to qualify minimally with firearms. Those ranges have the accidents because of brain fade on the part of the recruit who is not paying attention or the police chief getting ready to retire but has to qualify one last time. Developers now covet the old civilian ranges sites and surroundings built in the 40′s and 50′s which are now impacted by urban development encroachment. We now need more civilian ranges as is economically as possible to build and of course that meets all valid safety and environmental concerns. That is the crux of the argument. Randy, I am going to disagree vehemently but I don’t want you to perceive me as being disagreeable. I appreciate that you are a PE, who has a rigorous formal education. You profess a code of ethics and you have been tested by some State Board and deemed qualified to practice in a field that involves making life safety decisions. As a professional, you are trusted and I will take your word on anything you say, even if we disagree. That is an accolade I do not give to anyone, except to PE’s, not even lawyers! I also appreciate the position you are in, in that you don’t control all the decisions that are made, and are not yours to make or someone else dictates them. I understand that. To be frank, the Navy, in my opinion, has never trained quantitatively and qualitatively military marksmen. It has not been a priority until recently. “The Cole”, if the Navy feels it has to require that 50% of the SDZ be provided even with a fully contained baffled range it can require that on the Navy side of the property line. The Navy certainly knows the quality of its personnel. The quality of its instructors and the quality of its construction and can do precisely that, i.e., throw money at solving the problem. The Air Force on the other hand also trains recruits from the same civilian population pool. The Air Forces Engineering Technical Letter (ETL 02-11). Their design and construction guidelines allow that if a fully baffled range is provided on Air Force property the surface danger zone will be reduced to the size of the range. The Air Force is either training better personnel or is building better shooting facilities or has better Operational Rules. Because of the noise foot print around airport which makes such sites compatible for shooting range development and in which we are now placing shooting ranges, I will and intend to garner support for the Air Force criteria for design and Operational Rules and speak against the Navy’s on this issue. We all know what the problem is. I hate to say it, having Army green blood cursing through my veins (being an 03, Ranges lead the way type, from the 60′s), that the “jar head Marines”, their military cover, have been the only ones who have constantly and consistently taught marksmanship to the troops, the USAMU notwithstanding.  Perhaps the Marines should be the ones teaching us all how to eliminate the undisciplined firing that is causing projectiles to escape so frequently in the armed force ranges and creating the shooting up of the law enforcement ranges. We will find that the answer is simple, “discipline”. As I requested of you earlier, I would appreciate receiving a copy of the UFC. Remember, Building and Zoning Departments cannot make allowances in criteria for good shooters. As an aside, can you tell me who I can go to, to find out how much the Navy is paying to civilian cadre to retrain sailors in marksmanship for the new ship shore protection program? I was told that between Blackwater, Jacksonville and the place on the west coast, about $36 mil. More later. I am on my way to Greece for 10 days; business and pleasure. Please send me a copy of the document.